Lancaster Assistant Chief Charlie Miller and Special Agent in Charge Eric Jackson brief the media on the discovery of Shavon Randle Sunday. LANCASTER—The case of a missing Lancaster teen has closed with a tragic ending. According to reports, police uncovered the body of 13-year-old Shavon Randle and another unidentified male early Sunday. FBI Special Agent Eric K. Jackson says they were found in a home at 2208 Kiest Boulevard in Dallas, near the Illinois intersection. Law enforcement went to the address following a community tip. There has been no report as to how long Randle may have been dead. Details are still unfolding at this time. Late Thursday Lancaster officials released the names of four persons of interest associated with Randle’s disappearance. Police named LaPorschya Polley, Darius Fields, Devontae Owens and Michael Titus as possible suspects. 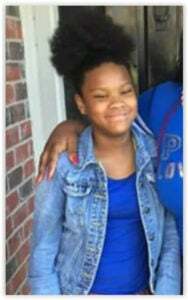 “They are individuals that we believe may have information related to the kidnapping of Shavon,” said Jackson. On Friday, officials located 25-year-old LaPorschya Polley and 26-year-old Darius Fields. They were arrested and remain in custody. Lancaster police and FBI agents took 24-year-old Devontae Owens into custody early Saturday. Police also arrested 30-year-old Laquon Wilkerson of Dallas. Police say Wilkerson is another suspect in the kidnapping. Unconfirmed reports say that the male body found Sunday was that of the lone at-large suspect Michael Titus. Titus’ mother, Angel, said she does not believe he would take part in the kidnapping. Thursday, Angel took to social media to plead his innocence. She says Michael’s girlfriend sent her text messages that he wrote on Monday. In them, he wrote that someone was coming to a house to buy marijuana. He was running late, so he told his female cousin to open the door for the customer. 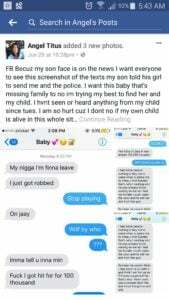 “Because my son’s face is on the news, I want everyone to see this screenshot of the texts my son told his girlfriend to send to me and the police. I haven’t seen or heard anything from my child since Tuesday. 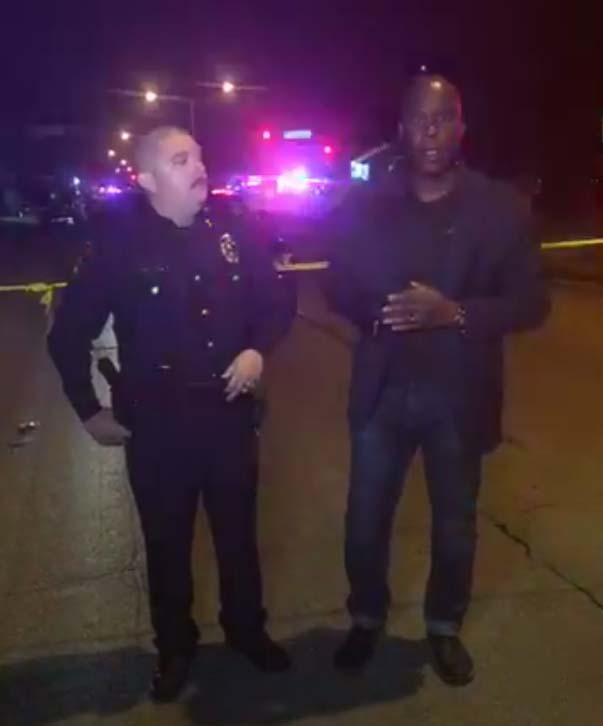 I am so hurt because I don’t know if my own child is alive,” Angel posted on Facebook at 10:28 p.m. Thursday. “My female cousin open the door and he rob her and took her gun,” the text said. He wrote that now his cousin believes that he had something to do with the robbery. “So if these (expletive) kill me … screenshot this and show the police,” the text said. Titus’ mother said she immediately contacted the police and gave them the text messages. On Friday, detectives were at a relative’s house interviewing her and other family members.